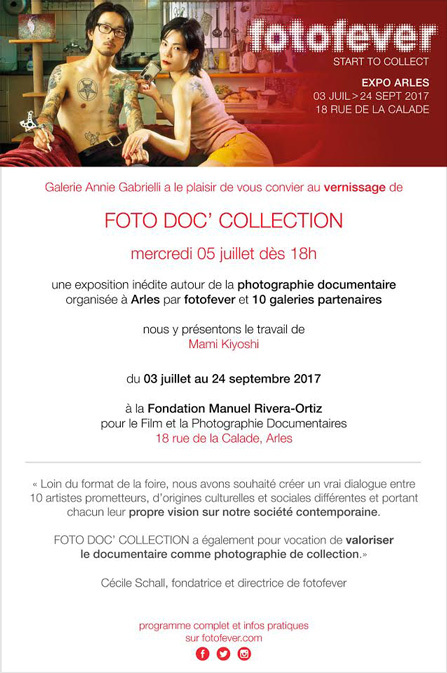 I take part in the exhibition FOTO DOC' COLLECTION at Fondation Manuel Rivera-Ortiz in Arles, France. From 03 July to 24 September 2017. At the invitation of Mons 2015 European Capital of Culture, I stayed at Mons in Belgium for a week, and I took some pictures for "New Reading Portraits". The solo exhibition organized by Institut des Idées Actives at Galerie Vitrine-65 , 65 rue Notre-Dame de Nazareth, 75003 Paris, France. Opening 28 January from 18h. The exhibition from 28 to 31 January 2015. The solo exhibition at Galerie Annie Gabrielli in Montpellier, France. Opening 28 March from 18h to 20h30. The exhibition from 29 March to 03 May 2014.